How pro-social is your business? A focus on self interest is often viewed as the only way to run a business. But customers (and people in general) do not think like that at all. For the majority of people, self interest is often sacrificed in the interests of others, sometimes at a personal cost. For instance, tests performed by HMRC to encourage tax payments from late payers discovered that reminding them of the social benefits to schools or hospitals increased responses. Such behaviours run quite contrary to conventional economic wisdom, illustrating that social norms plays a powerful role in decision making. Businesses would do well to understand this. Everyone involved with them – customers and staff especially – expect them to conform to social norms. In England that means they should pay taxes, adhere to the law, play fair, protect the environment and contribute to the long term good. However customers won’t actually say this or ever mention it in research but that doesn’t mean to say its not important. In fact, customer have specific expectations about every business sector they exchange with. And come the day they find out that your business isn’t conforming and there’s a suitable alternate available, whatever loyalty they had will dissipate in a blink of an eye, destroying whatever brand value you had. Notwithstanding the legal and political ramifications… VW is a current example and hopefully Facebook, Google, Amazon et al when the UK government gets its act together. 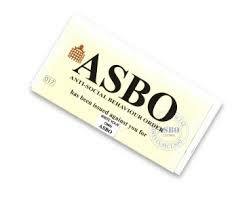 In fact, I think we should serve anti-social-behaviour-orders (ASBO’s) on companies that clearly don’t conform to social norms. There’s talk of doing to on taxpaying individuals – why not companies as well? Commercial transactions connect customers to your business in ways that are not always obvious. The best way to find out what’s important is to understand what they expect from you in the context of the society in which you operate. Do you know what that is?